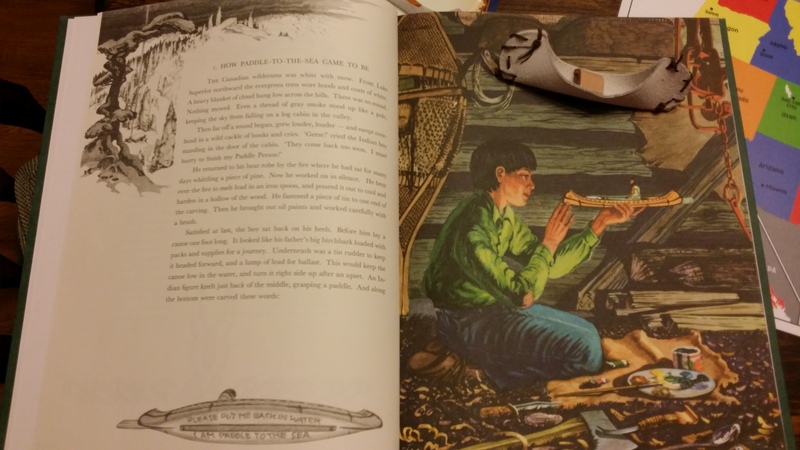 I am so excited to share Paddle to the Sea with D. This is one of the books I used with the older two around D’s age. Because I knew the picture would draw his attention, we started by looking at it. We then read and went back to point things from the chapter such as the oil paints. It was a good way to work on observation and attention to detail. This is a great book to learn and review geography. D has already learned the 7 continents so we reviewed by using our globe. Once he pointed out North America, I had him point to The United States. Next I asked him to find Canada which he had no problem with. 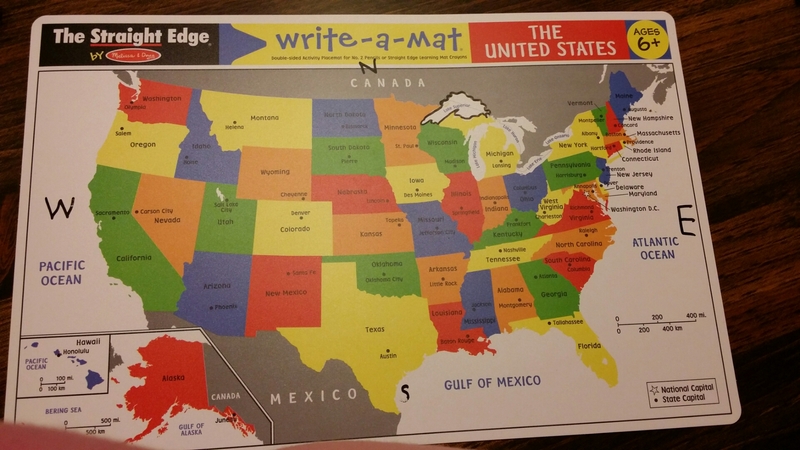 I had him trace with his figure ,while using our while off map, the border between the US and Canada. This was a good lead in to the Great Lakes and how boundaries can run through water. I had D label our wipe off map with the compass rose. This was review for him. 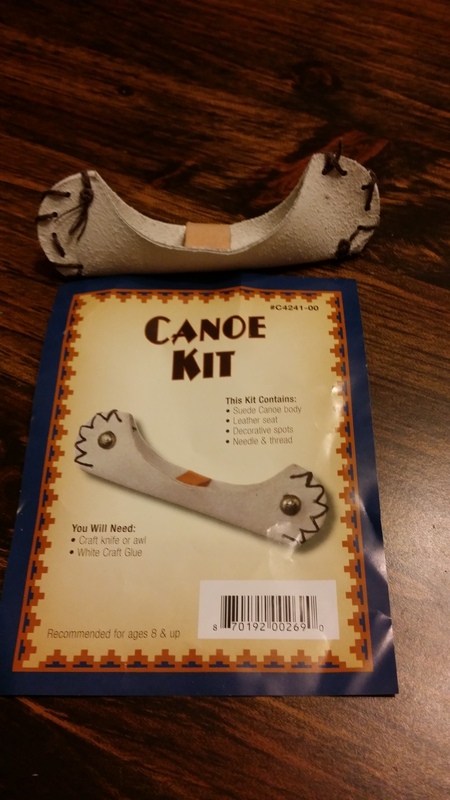 For fun, D put together a leather canoe from a kit we got at Hobby Lobby. This was the first he worked with a needle and thread (yarn). It was a bit hard for him due to having to push it through the leather. After about 3 minutes he wanted to be done. It was actually a a short 5 minute project but he just wasn’t into it. It did helast get the visual of a canoe which he needed. All in all, we took about 20 minutes to cover it all.